The Nexus 6 from Google and SmartWatch 3 from Sony are now live on Google Play, but for the time being, they are unavailable for purchase or pre-order. 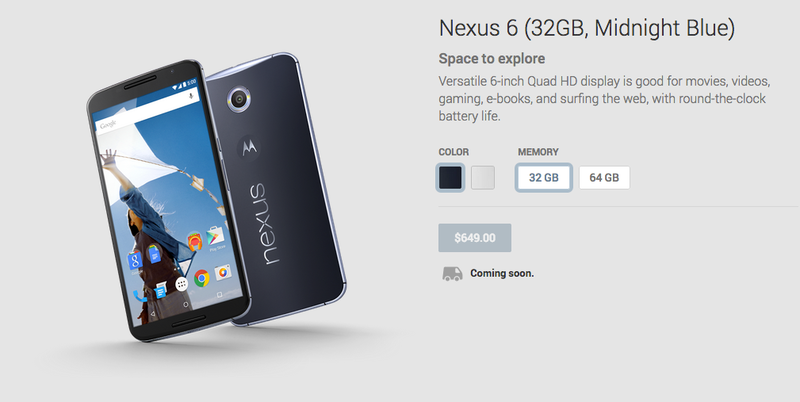 The Nexus 6 price starts at $649.99 in both Blue and White for 16GB, while Sony’s take on Android Wear is priced at $249.99. If you are interested in either of these devices, we recommend bookmarking these pages and keeping your eyes peeled. Nexus 9 Pre-Order Now Live on Google Play!